In 2013, I had the pleasure of writing an original piece for Queensland Theatre Company's Senior Youth Ensemble and the Grin and Tonic Theatre Troupe. Twenty young people are trusted with the future of the human race. Only two will be chosen to carry on humanity’s bright future on planet Mars. They must prove themselves through a series of gruelling tests. On the way, they must decide their best strategies for survival. Form an alliance, or go it alone? Admit your weaknesses, or cover them up at any cost? Stay at home in safety, or fight for a future you know nothing about? Who will be chosen as the best examples of human? 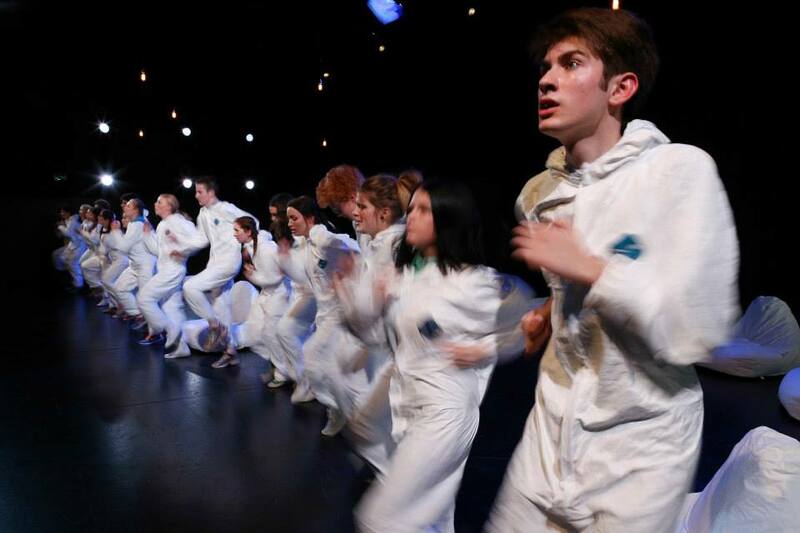 Queensland Theatre Company’s Senior Youth Ensemble, in a dynamic collaboration with The Grin and Tonic Theatre Troupe, will devise and stage a performance unlike any other. An exciting science fiction adventure story that explores ambition, love, success and growing up, told with unique style and technology.